Hi there, my darlings! So...the forecasters say it's going to be frigid all this week. Record-breaking lows. Blah blah. But next week, NYC is back to Fall! 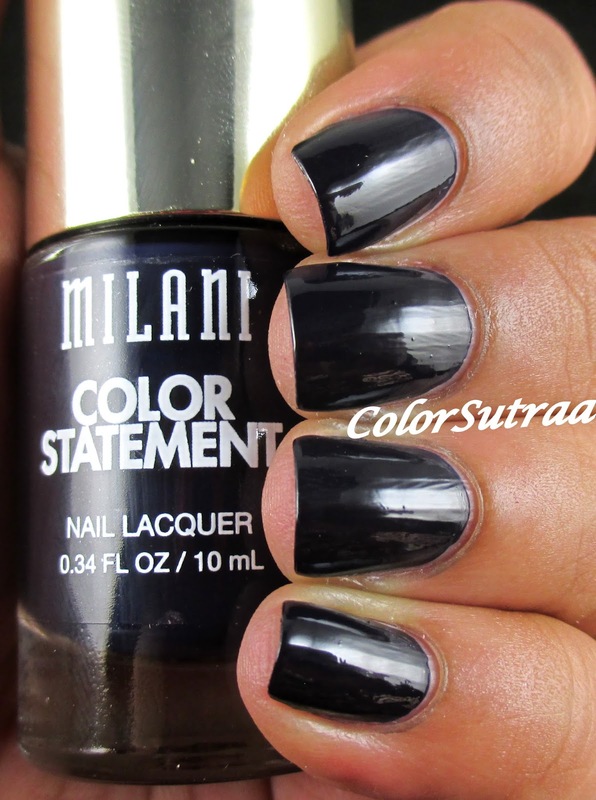 So in preparation, and gratitude, I'd like to share with you some of my Fall favorites from Milani Cosmetics's latest Color Statement line! If you read my last post, I mentioned what I thought about the formula application of most of these polishes was across the board! You can take a quick peek HERE if you're curious but the gist is that formula and application posed no problem unless specifically mentioned. Charcoal Charm is a frosty charcoal gray polish. Frosts are not usually my favorite but this was surprisingly easy to apply and really pretty as a result! 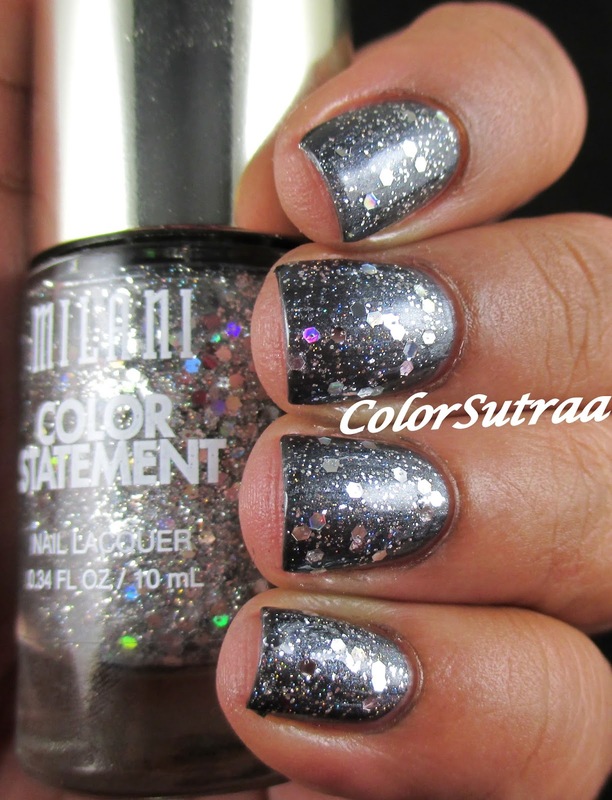 Rainbow Prisms is a clear base full of silver metallic and holographic glitter. 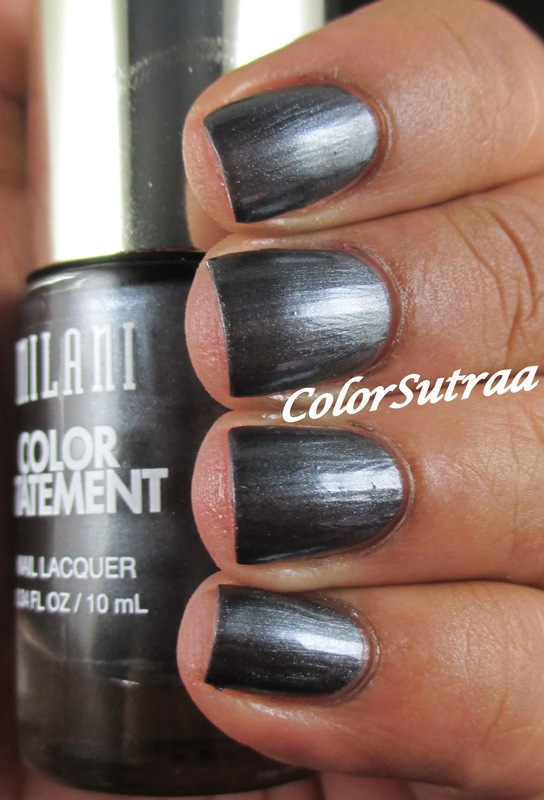 The swatches below show 2 thin coats over Charcoal Charm above. 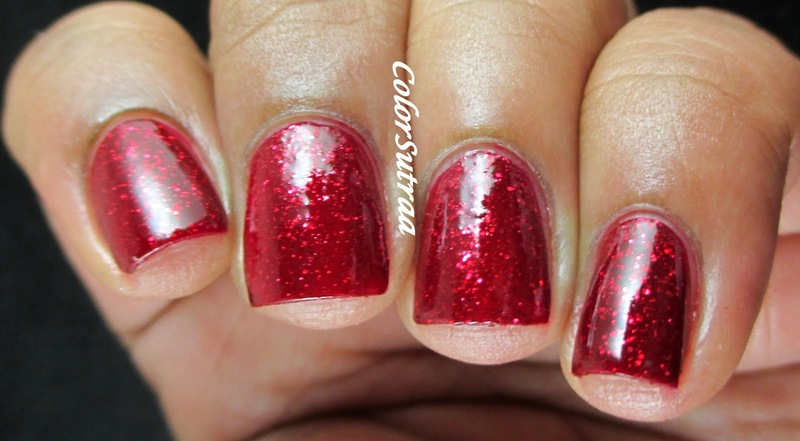 I love how a little glitter can really jazz up a neutral mani--turn it from weekday to weekend! Mauving Forward is a dusty mauve creme. I really love this shade! Ink Spot is a dark, dark inky blue with a crelly finish. The swatches below show 3 thin coats. This shade is so dark that in some lights, you'll think it's black while in others the blue pops through! 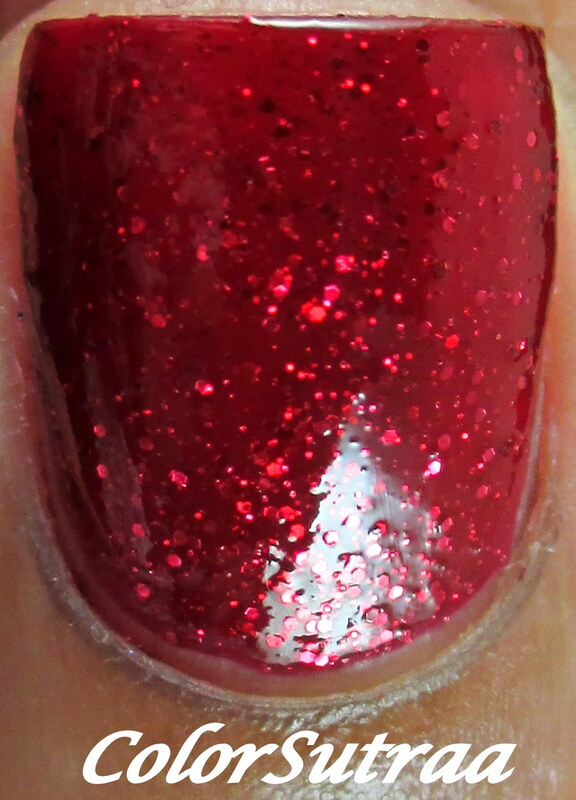 Crimson Jewel is a sparkling, shimmery red with a crelly finish and full of small red glitter. Since I'm a total sucker for reds, I absolutely adore this polish! 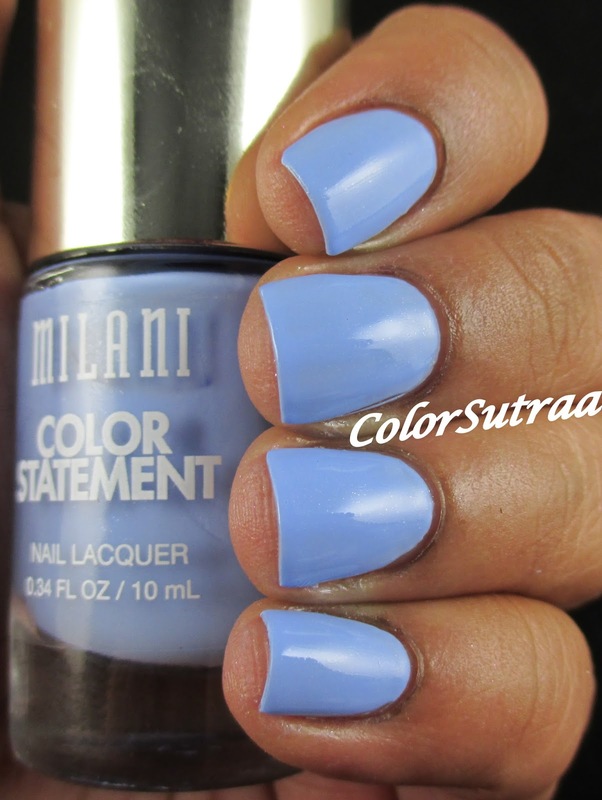 Peri-Wink is a periwinkle blue creme. Again, an instant favorite! So there you have it, my darlings! 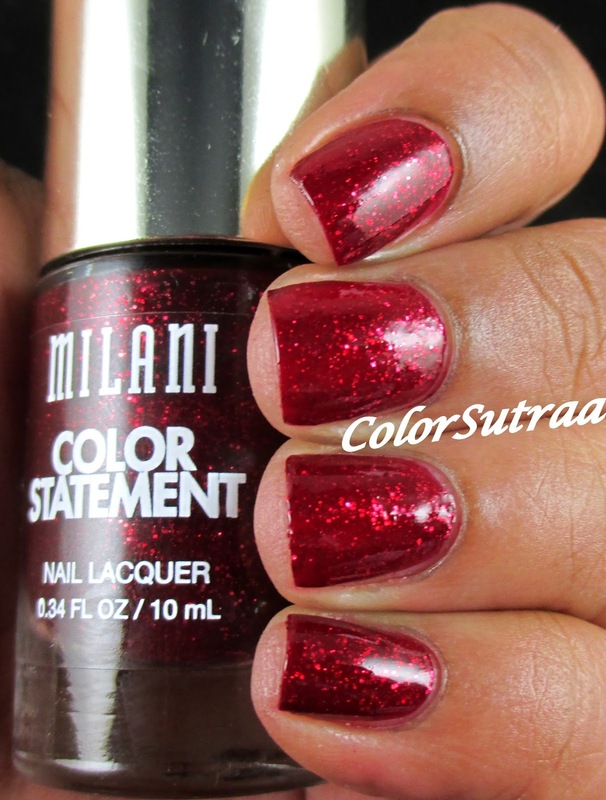 6 more beauties from Milani's Color Statement collection! If you would like to add any of these to your stash, you can find on Milani Cosmetic's online site HERE for the fab price of $3.99 each! You can also find them at select drugstore/retailers such as CVS, Walgreens and Duane Reade--let me know if you find them at YOUR local store. Please remember to follow Milani Cosmetics on FACEBOOK and INSTAGRAM for all the latest news and updates!